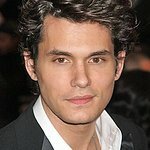 Join John Mayer for One Splendid Evening at a charity event aboard a cruise ship in March. On March 26th, VH1’s Save The Music Foundation will join forces with Carnival Cruise Lines & Mayercraft Carrier 2 to take over the Carnival Splendor prior to its inaugural cruise as “Mayercraft Carrier 2: Even Craftier!” for “One Splendid Evening” to benefit the Foundation. For one night only, enjoy an evening of entertainment in the Splendor’s new home at the Port of San Pedro, CA. The Splendor is Carnival’s newest and biggest ship, boasting 4 pools, the “Red Carpet” dance club, a luxurious spa, full-service casino, 24-hour room service, 22 lounges and bars, and so much more. The evening will include open bar and food courtesy of Carnival Cruise Lines as well as live performances by John Mayer and some of his friends (more to be announced soon). The event will take place on the eve of a special four-day cruise that will include Mayer as the main entertainment. 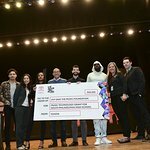 The Save The Music Foundation is dedicated to improving the quality of education in America’s public schools by restoring music programs in cities across the country, and raising public awareness about the importance of music participation for our nation’s youth.